Marriage has always been considered an integral part of Indian society. But might not be the case for today. The mentality of each and every person is changing nowadays, as the new generation is the king of their own decisions. Gone those days, when parents used to decide future of their children. The present generation believes in waiting for the right person rather than moving ahead with the wrong one. Talking about Bollywood, all actors are super successful and live life on their own terms. Many actors have already found the perfect match for them but there are some actors who are still waiting for the perfect soulmate. Here’s the list of 5 Bollywood celebrities who never got married. The great Indian film director, producer, screenwriter, actor and television personality Karan Johar was born in the year 1972 on 25 May. He is popularly known as the filmmaker who reformed the Hindi Cinema with Kuch Kuch Hota Hai, Kabhi Khushi Kabhie Gham, Kabhi Alvida Na Kehna, My Name Is Khan and many other top rated movies. The director-actor happens to be one of the famous unmarried personalities of Bollywood. Despite unmarried, he is the father of twins (1 boy and 1 girl) through surrogacy. Tabassum Fatima Hashmir better known as Tabu, was born in 1971 on November 4. She was born to Jamal Hashmi and Rizwana to a Muslim family. She made her first appearance as a child actress in the movie, Hum Naujawan. She has acted in a large number of Bollywood films. Her critically acclaimed roles have been given to her by brilliant movies like Kalapani, Chandni Bar, Maachis, Maqbool, Astitva, Cheeni Kum, Haider and Drishyam. Tabu told in an interview, why she is single today is because of Ajay Devgan. When she was young, Sameer (her cousin) and Ajay spied on her, follow her around and threaten to beat up boys who were caught talking to her. The most eligible bachelor of Bollywood, Salman Khan popularly known as bhaijaan was born in the year 1965 on December 27. He began his acting career with a supporting role in Biwi Ho To Aisi. His first leading role in a Bollywood movie was in Sooraj R. Barjatya’s Maine Pyar Kiya, and it is one of India’s highest-grossing films. He has a huge fan-following not just in the industry or the country, but around the world. He is definitely one of the biggest superstars in the country. He recently said in an interview that marriage is just a “waste of money” and he does not believe in love at all. The winner of the Miss Universe 1994 pageant Sushmita Sen was born in the year 1975 on November 19. She is the first Indian woman to win the Miss Universe title. She started her career with the Hindi film Dastak. She attained commercial and critical recognition for her roles in Sirf Tum(1999) and the comedy Biwi No.1 (1999). Her biggest commercial success so far is Maine Pyaar Kyun Kiya. Despite being super successful she is still single and unable to find a match with whom she can tie the knot. She has adopted a baby girl in 2000 and a second girl in 2010. 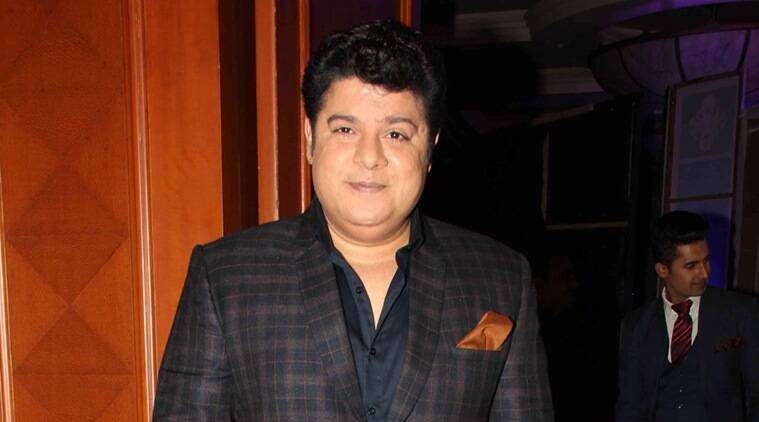 A famous Indian filmmaker, scriptwriter, talk show host, presenter and actor Sajid Kamran Khan better known as Sajid Khan was born in the year 1970 on November 23. Khan was born in Mumbai, Maharashtra. He has one elder sister, Farah Khan. He started his career as a host of the TV show Main Bhi Detective in 1995. He started his directorial career with the movie Darna Zaroori Hai launched in 2006. If we talk about his personal life, he is still single. He was linked to many hot actresses like Jacqueline Fernandez, Esha Gupta and Tamannaah Bhatia but even after so many connections, he is still waiting for the perfect match.